Today President Obama speaks at my Alma Mater, Arizona State University. They expect a crowd of 71,000 people (for 9,200 graduates) to gather throughout the day to hear Mr. Obama's remarks. Note - it will be pushing 100 degrees today, no shade until 7pm and the venue has only one type of seating - metal. Ouch. Not since U2 made Sun Devil Stadium Rattle and Hum 22 years ago has there been so much excitement about a rock star coming to perform. After a visit to Tempe the "2009 POTUS World Tour" moves to The University of Notre Dame on Sunday and the issue of Abortion is taking center stage before Barrack's roadies ever get close to South Bend. Good for a few serious Catholics to stand up for what they openly profess to believe. Abortion for Profit is hideous. It is an offense to humanity and I believe to God. Donald Trump took center stage today and backed up Miss California in her quest to save her crown from the media pundits. The Donald said hey, so she took some edgy photos when she was a teenager, this is the 21st century, and by the way, they look pretty good. Mr. Trump also reminded everyone that Ms. Prejean's answer on the topic of gay marriage mirrors that of Barrack Obama and Hillary Clinton... the President of the UNITED STATES and the Secretary of State of the UNITED STATES. More than that, it was a personal question and the woman gave a personal answer. There is no right or wrong answer to an opinion question. If a judge asked "what do you think of the conflicts raging in undeveloped nations in Africa and what can the United States do to assist?" and the contestant answered, "well, I think that unresolved conflict in any relationship is bad, and nations that just won't develop are really not deserving of our help..."
Well then you would conclude that the woman was a complete idiot and not deserving of the title "Miss USA." Let's remember this is a beauty contest and not a ideology contest. 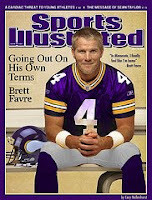 Much to my shock ESPN is reporting that Brett Favre, the twice retired QB is scheduled to talk with the Minnesota Vikings. Legend to loser in just two seasons! Long-term Favre fans (aka Cheese Heads) in Green Bay may be having second thoughts, a second time, about Brett's iconic status and his off the field mental condition. Does this guy run his ideas past anyone other than his money motivated agent? I know Favre had issues with the Packer front office but the guy was a legend with Green Bay faithful. Management changes once and a while but legends, especially in the NFL, and always in Green Bay last FOREVER. I'm not sure how people feel about him now; however, if he suits up in purple he will be radioactive at Lambo field. Better to suit up in a Nazi Storm Trooper outfit than wear a Vikings uniform! My question for Favre would be "do you really want to play football or just stick it to the Pack?" No doubt he won't want to compete for a position in Minnesota or go through the new player mini-camps. He just wants to suit up on Sunday, throw bullets and grab a couple of million in cash for the bank account. Oh... and stay in the headlines. Well football is about a lot more than what professionals drag it down to be and you only have to play a few seasons of Pop Warner to figure that out. It is amazing to me that men become so corrupt given power. It's equally fascinating how some men will throw away a reputation built over a lifetime by making a single bad decision. Arlen Specter certainly didn't diminish all that he is with his decision to change parties. He may be a wonderful husband, father and grandfather. Perhaps he was involved in many community or business affairs before heading to Washington, DC. Choosing to be a Democrat would not belittle any of these accomplishments. Politically he will now be remembered as a turn-coat. President Obama and Vice President Biden welcomed Specter personally to their side of the isle. These fellow senate fraternity brothers (who now occupy the most powerful positions in our government) know how important Arlen Specter (D) will be to their agenda to grow power in Washington to levels perhaps not seen since the wartime 1940's. Specter broke the rules last week. The "rules" I'm referring to are those that allow the people of both major political parties to choose someone who reflects their ideoligy. 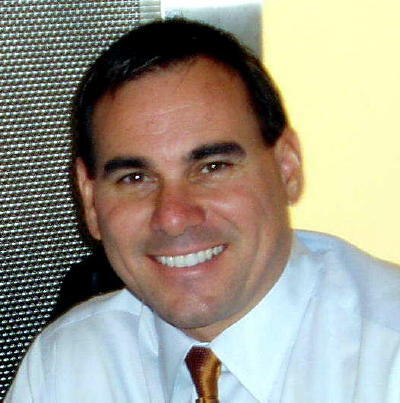 Mr. Specter took that away from Republicans by simply changing parties under the assumption that Democrats in the Keystone State will embrace him. I'm thinking of all the staffers that ran Specter's offices. These days US Senators have dozens and dozens of people they employ. I would assume the majority of them are Republicans. Suddenly they are running a Democrat's office. How bizarre. What about his top advisors? Are they suddenly on board with the core beliefs that makes one choose the Democrat Party? It must be a wild time for the Specter camp. Perhaps he won't lose his seat in 2010 by moving parties. Unfortuantely whether he wins or loses the race he has lost his political integrity.